We believe that your business is more than just the daily grind of operations, sales, marketing and the rest... It's about bringing your dreams to life, about growing your ideas into a successful reality. At Soulful Web, we help you bring your dreams and ideas to life by harnessing the power of the web. We help you to create a presence online. 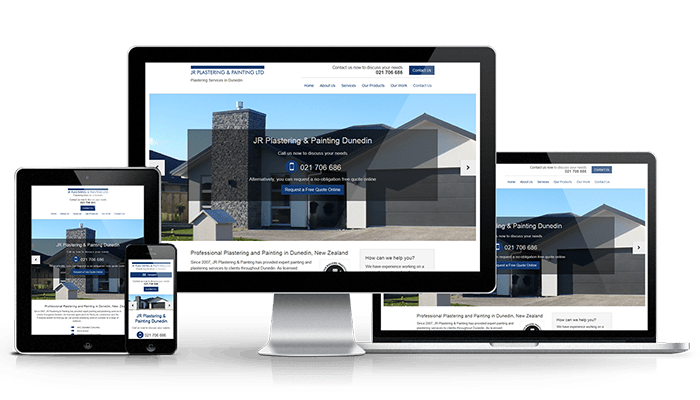 We design and build mobile friendly, clean, bold & beautiful websites, we use effective local search engine optimization strategies, and we utilise lead generation strategies that drive action. The work we do now is better than the work we did yesterday, and the work we’ll do tomorrow will be better than today. We come to work every day not to beat the competition, but to beat ourselves. You see we’re on a quest to bring our own ideas to life. Our goal is to work with like-minded, passionate, energetic people who believe what we believe, and work together so we can all succeed. We’re here to stand shoulder to shoulder in pursuit of the same goal – to bring our dreams and ideas to life. We build custom, mobile friendly, clean, modern websites that stand out amongst the crowd, and showcase your brand. We build every site with local search in mind, and utilize tried and true Search Engine Optimization strategies in every project. We highlight what it is you do best, create a clear path for your users to take, and help you generate new leads for your business. We help you get set up, add sharing features to your site, and make it easy for users to engage and share your products and services. If you need, we can provide on-going site updates, SEO strategies, lead generation, content management, monthly reporting, and much more. We provide follow up support on all projects for 1 month after launch, as well as training on how to use and manage your new site CMS. Already have a website, but looking to upgrade? Request a no-obligation free website audit. Design, Usability, Search Engine Optimization, Local Search presence, Social Media presence, Copywriting… and much more. We’ll provide you with a detailed report comparing your website against one of your competitors and see how you stack up. The first step is the most important one. We’ll spend some time getting to know you, your business, who your customers are, and what your goals are for the website. Then we’ll run you through your best options, and put together a plan of attack. This is where the visual layout of your website begins to take shape. We take what we learn in the discovery stage, give it some bones and structure, and start to bring it to life. You’ll be along for the ride, so revisions and changes are easy as pie. Now it’s time to slice and dice some clean code, build some user friendly features, add some content that drives the user to take action, optimize the site for search engines, test it out… you know… the nerdy stuff! It’s time for launch – Hooray! But we’re not done yet… next we set up any social media profiles, tell search engines that there’s a new kid on the block. We also offer ongoing support, so if you have any problems, we’re here to help. Maybe a wee tipple or two after launch. Always remember to celebrate the wins!